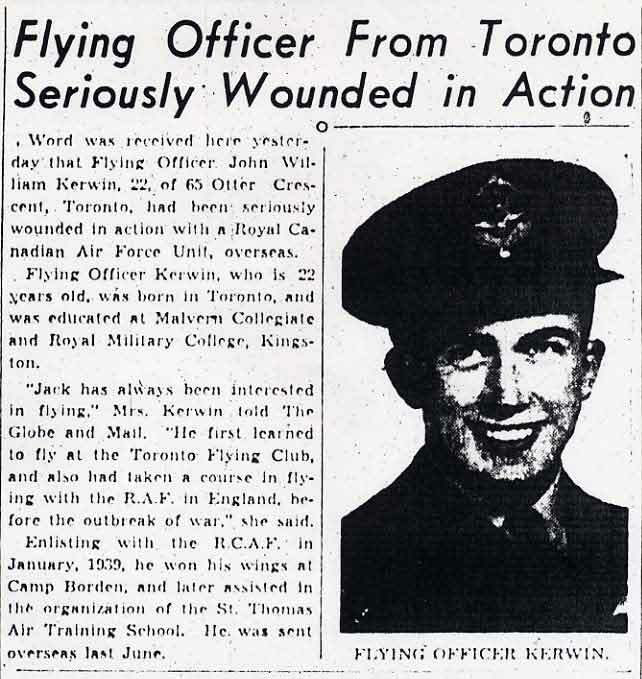 John William “Johnny” Kerwin was born in Toronto on 7th May 1918 and passed most of his adolescence there until proceeding to the Royal Military College of Canada in Kingston, Ontario in 1935. He was not at RMC for long as he left the next year before completing his studies, citing financial reasons for his departure. He next applied for a commission in the Royal Canadian Air Force in November 1937. Kerwin had already obtained a private pilot's license and thus made a particularly attractive pilot applicant. For reasons unknown he did not actually begin his service until early 1939, but this is probably best explained away by military bureaucracy! His Hurricane, P3963, came down at Shipbourne, north of Tonbridge, Kent. Kerwin’s wounds were serious enough to have him posted as non-effective. He was repatriated to Canada where he served as an instructor with the British Commonwealth Air Training Plan, in Brandon Manitoba. In mid-1942 he was posted to No. 111 (F) squadron flying P-40 Kittyhawks in British Columbia. With the Japanese threat looming in the North-West, this squadron was soon sent up to Alaska to help defend the area along with the American forces already posted there. The Japanese invasion of the Aleutian Islands prompted the US Command to request Canadian squadrons moved to forward bases to assist in the defence of the island chain. Newly-promoted to Squadron Leader and C.O. of No. 111 Squadron, Kerwin set off with 6 other Kittyhawks for Umnak Island from their base in Anchorage on 16th July 1942. The Aleutians have the dubious reputation as having some of the most inhospitable weather for flying due to dense fog which can quickly shroud the rugged and mountainous terrain. 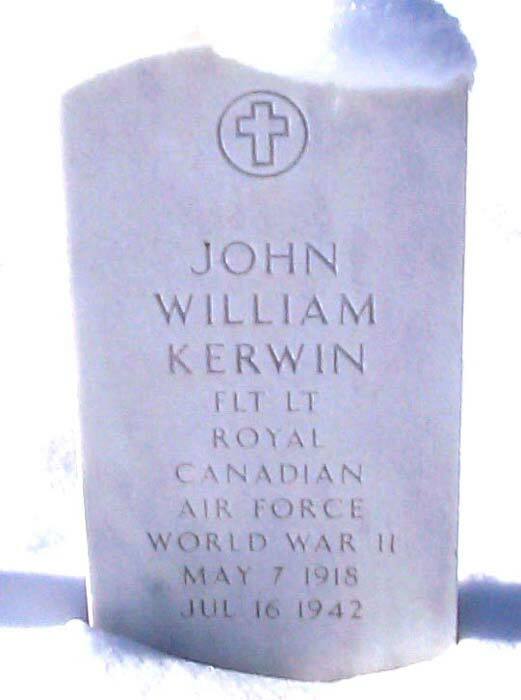 During the flight, the pilots became lost in dense fog and 5 of them crashed, including Squadron Leader Kerwin. His body was recovered and buried with full military honours at Fort Glenn, Umnak Island. It was later exhumed and reburied at Fort Richardson, Alaska. A tragic end for a brave pilot, who survived the Battle of Britain, only to die at the hands of the elements. *It was very common at this time for RAF pilots to identify Dorniers as a model 215, in fact these were rare reconnaisance versions with inline engines. The more numerous bomber version was the radial-engined Dornier 17. With acknowledgment and thanks to Adam J. Haslett for the majority of the text and all photographs except that of the grave at Fort Richardson. of course, other reasons for taking a backward glance at this rather obscure campaign which was conducted in an obscure part of the world. 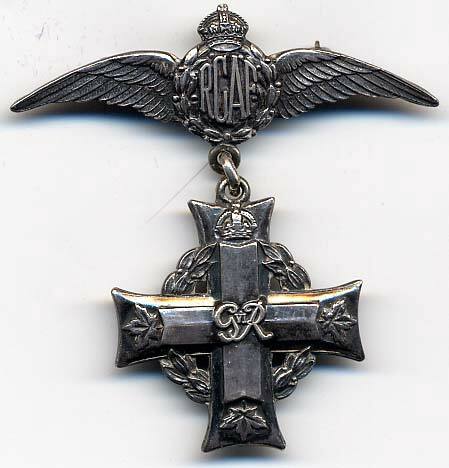 meaning for most of us, for the members of the RCAF Aleutian expedition they will undoubtedly conjure up memories of the worst flying weather in the world, of a war that came in fits and starts, and of unfulfilled ambitions to meet Japanese Zeroes in air combat. 1,200 miles westward from the Alaskan peninsula. squadron proceed immediately to Yakutat at the north end of the Alaskan panhandle. and rail. At this time No. 111 was under the command of S/Ldr. A D Nesbitt. On 13 June Nesbitt was appointed to command a two-squadron RCAF 0 wing temporarily established at Annette Island, Alaska, to guard the approaches to Prince Rupert, B.C. Nesbitt was succeeded by S/Ldr. 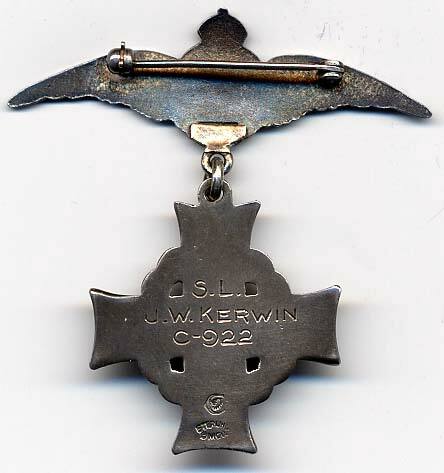 J A Kerwin, who like Nesbitt had flown in the Battle of Britain. questions of major importance would be cleared beforehand with McGregor. Somewhat ironically, one of the general's first orders was for the red centres on the top wing roundels of all RCAF aircraft to be painted out as he considered that there was a confusing similarity to the red identification disk carried on Japanese planes. Further changes in RCAF markings were made by painting a blue band 14 inches wide around the tail end of the fuselage. the mail from home was to reach its members via APO 942, Seattle, Washington, and for quick delivery the use of US airmail stamps was advised. Meanwhile, a task force under Admiral Kakuji Kakuda opened the Aleutians-Midway offensive with a diversionary attack on the American base at Dutch Harbour which did a limited amount of damage but fooled no one. The main attack went in against Midway 24 hours later and in the great battle which followed American air power carried the day, repulsing the enemy with staggering losses. On 6 June, in a face-saving gesture, a Japanese naval force invaded uninhabited Kiska at the western end of the Aleutian Islands. A neighbouring island, Attu, was also occupied the day after and landing parties dug in with the intention of establishing permanent garrisons on these bleak fringes of American territory. Since Admiral Yamomoto had failed to take Midway, Kiska and Attu had a very limited strategic value for Japan although their seizure did allow the Japanese government to conceal from their people the terrible losses at Midway. It is doubtful if the Japanese ever considered using the Aleutians as a passageway to the mainland of North America. As Maj. Gen. Buckner said, "They might make it, but it would be their grandchildren who finally got there, and by that time they would all be American citizens anyway". Nevertheless the presence of the Japanese on far-away Attu and Kiska served to create in the minds of the Pacific coast inhabitants of Canada and the U.S. the impression that such an invasion was feasible. To dispel such fears the governments of the two countries had to maintain sizeable forces at home when they were badly needed elsewhere. Thus the main motive for clearing the Aleutians was to remove the apparent threat of invasion and thereby relieve more of the home forces for duty overseas. supplement the American strike force located there. great force, sometimes reaching gale proportions within half an hour. No. 8 Sqn. had its first encounter with Alaskan fog on its move from Yakutat to Anchorage. Ten Bolingbrokes took off with two U.S. Army transports following with the ground crews. returned to base or diverted to Seward. patrols, totalling 300 hours, under the very bad weather conditions prevalent in Alaska. Preparations for the move back to Vancouver began in late January; by early March the entire squadron was once again at Sea Island. It left behind a record unequalled by any other squadron in Alaska inasmuch as none of its aircraft had been lost on patrol — a remarkable achievement when one considers the inadequacy of the existing (or non-existing) meteorological stations and radio communication facilities. an equivalent number of personnel in No. 11 Pursuit Sqn.. USAAF. from Cold Bay to Umnak, the RCAF experienced its most tragic mishap in the Aleutians. overall effect of the accident may be measured by the fact that RCAF Overseas HQ was asked to "send six experienced pilots to Canada to assist organization and training our fighter squadrons." and worked in close co-operation with the 11th Pursuit Sqn., commanded by Maj. John S.
celebrated motion picture executive, arrived at Umnak to shoot scenes for a production film. The 111 Sqn. detachment gladly took time out to do an unrehearsed performance. and P/O H O Gooding, were to fly with the American formation. The fighters were to take off from Fireplace, a temporary base some 250 miles from Kiska. After at least two postponements because of the weather the attack went in on 25 September — a red-letter day, for the RCAF scored its only victory against the Japanese Air Force. At 1000 hours the force of nine Liberators, 12 Airacobras and 20 Kittyhawks arrived over Kiska with fighters leading the bombers and other fighters providing top cover. The RCAF flyers had been assigned to take out the anti-aircraft defences and in their enthusiasm for the task flew almost at deck level. him. I just poured it into him from underneath. He flamed up and went down." "It is with great regret that we see the departure of 111 Fighter Squadron, Royal Canadian Air Force. Their entire tour of duty here has been noted for the sincere cordiality, total co-operation and the frank and easy manner in which they mingled with our personnel stationed here . . . We are proud to be brothers-in-arms with them." Greeley on Kodiak Island. On 29 December Canadian morale was raised to a peak by the news that Boomer,* Lynch, Gohl, and Gooding were awarded the U.S. Air Medal. The New Year's list brought more honours; Boomer received the DFC for his "unflagging zeal and devotion to duty" while McGregor, who in the words of General Butler had worked "heart and soul" to make the Aleutian operation a success, won the OBE. * Boomer was killed on operations over Germany on 22 October 1944 while serving with No. 418 (Intruder) Squadron. that Canada had despatched to the distant Aleutian Islands. Headquarters, he was keeping it a closely guarded secret. the journey to Alaska by boat. for operations against Kiska. No. 14 was to have the first go and was to be relieved by No. 111 in about a month's time. about 250 miles from Kiska, where they were briefed on operations for the next day. American engineers had a base ready at Amchitka, just 75 miles from Japanese-held Kiska. and enjoyed their mission, looking forward to good times to come." missions (102 sorties) were chalked up. In the interval, from 15 May to 4 July, No. 111 Sqn. flew 274 hours on Kiska operations. thoroughly briefed for the big attack by air, land and sea on the Japanese stronghold at Attu. Japanese dead numbered 2,300 — almost five times the number of American casualties. west coast of Canada and the United States slept more easily than they had since June of 1942.
little sign of life below. ended its tour in the Pacific by embarking for Canada on a boat appropriately named the S.S.
"Maj. Gen. N. E. Ladd jumped into his command car and drove to the RCAF field at Umnak. He was carrying seven U.S. Air Force medals. There was a 'pukka' parade in the best RCAF tradition, with the United States Army band playing 'The Star Spangled Banner' and 'God Save the King'. 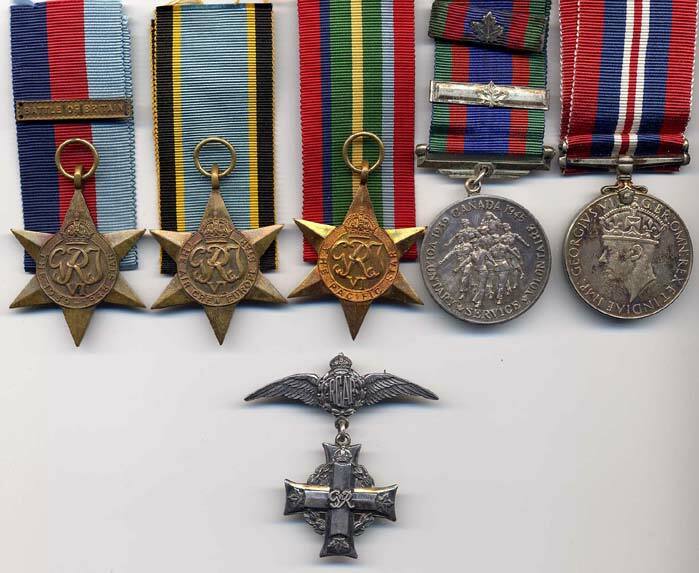 He pinned the medals on RCAF officers. The citations mentioned 'Attacks pressed home in the face of enemy opposition, with a courage, skill and determination that reflects the highest credit on the force in which they serve'." the USAAF. It augured well for the future co-operation of the two forces in the defence of freedom. Thus the RCAF had done more than lend its support to a military operation; it had added a new dimension to Canadian-American defence relations. Herein lies the significance of the RCAF contribution to the Aleutian campaign.